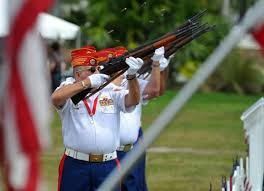 This Military Funeral Honors (MFH) Firing Party detail is scheduled to honor one of our own, member Harry Woodward. Harry passed away in March of 2019 and his family held a Memorial Service for him at the Baylor Baptist Church in Ennis, Texas. His family was not able to be in town (from out of state) for his burial at the DFW National Cemetery, so since he was cremated his family has scheduled his burial with full military honors for May 3rd (10:15 am) at the DFW National Cemetery. We need as many volunteers to help make this Firing Party a success. Please register to participate. This is the first year that we have been invited to participate in this event which is hosted by the Coyote Squadron out of Corsicana. There will be many boots setup for this event and thousands of people are expected to come out. There will be an airshow along with the festival which will feature many military aircraft from multiple eras. 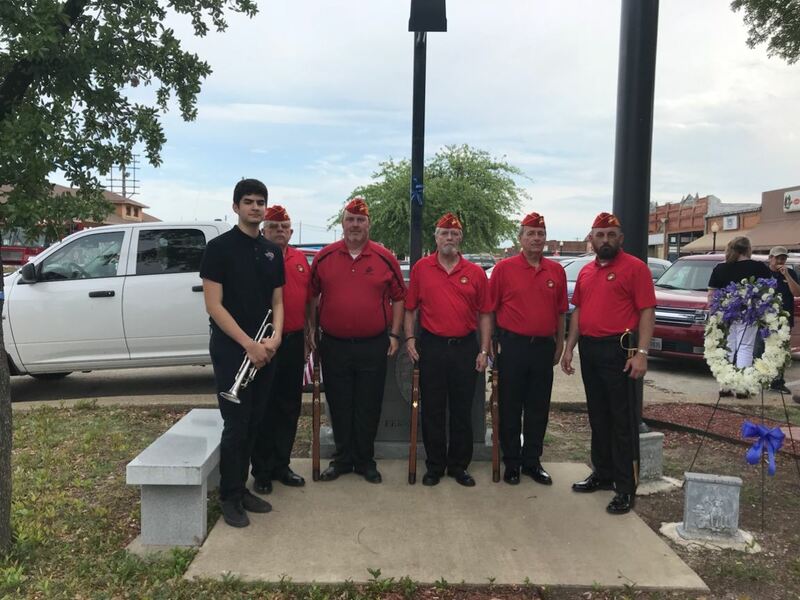 The Ellis County Detachment 1452 will be participating for the second year in a row in the Ferris, Texas' Police Department's Police Officer Memorial Day service. This event is small, but it is an honor to be able to witness a city such as Ferris doing something to honor their fallen brothers in sisters. If you have the time and the ability please come out to this event and show support for the Men and Women who put their lives on the line every day, and most importantly to honor and remember those who have paid the ultimate sacrifice so that those of us whom they serve can be protected and maintain the freedoms that we so truly deserve. This parade is held in Corsicana, Texas and highlights and supports military Veterans of all service branches. This is the first year that we have been invited to attend this parade and the organizers are very anxious for us to join them. 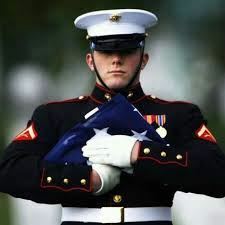 If you are able to volunteer to march in the Color Guard, carry the banner, or ride on the float trailer; please do so. This Officer's Staff meeting is conducted monthly on the third Monday of every month, the week prior to the Monthly membership meeting held on the last Thursday of every month. The Officer's Staff meeting allows the Officers to discuss certain matters pertaining to the membership and running of this nonprofit corporation, and allows the Officers to create the agenda for the Monthly membership meeting the next week. This meeting is open to all members; however, the Officers are the only ones that have a vote at this meeting session. This is an annual event held in Ennis. The Ellis County Detachment 1452 has marched in this parade in 2017 and 2018 and every year we are getting more and more recognition from our efforts. We provide a professional military style color guard that honors our Country and Corps and reflects that pride throughout our communities. If you are interested in joining us for this year's Parade please let one of the Officers know and we will ensure that you are a part of this historical occasion. This is the Second Annual event that the Detachment Honor Guard's Firing Party will have participated in. This event has been held for many years and with the addition of our Firing Party, members of our community have given rave reviews on how better the service is in honoring our fallen servicemen and women. We need volunteers for this Firing Party, so if you are interested please register here. Anyone is welcome to attend this event and is encouraged to do so with family and friends. The Ennis Veterans Memorial Program Committee (EVMPC) has put a lot of time and effort into making this a great event and we hope that you will be in attendance.